Beppu is located in Oita prefecture in the small island of Kyushu. It was an hour and 30 minute airplane ride from Tokyo. 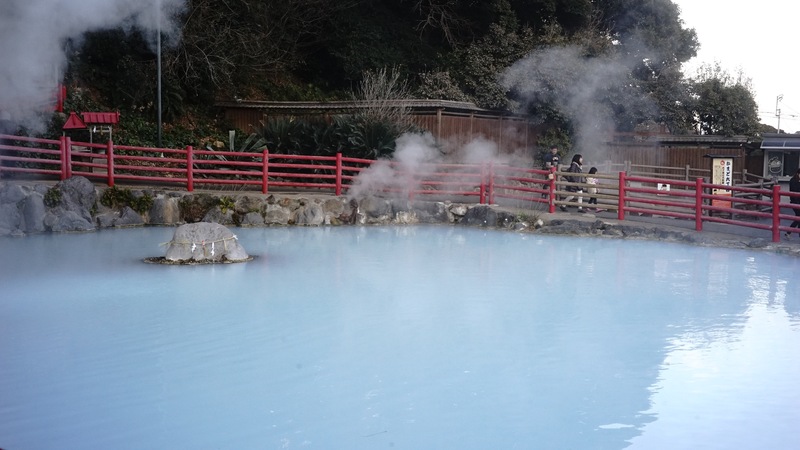 Beppu is known for its Onsen (hot springs) this is a great place to visit if you are a gaijin (foreigner) and you are a fan of onsens. 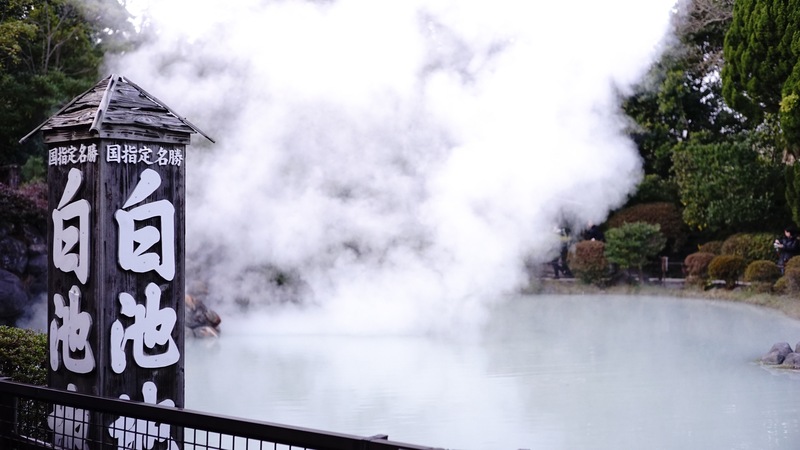 It is also home to the first ever natural hot spring in Japan. 海地獄 (Umi Jigoku) One of the most beautiful hells. Which is the only hell that was visited by the Emperor of Japan. Yama Jigoku, Where you can view animals like the capybara in the Onsen. We saw some capybara swimming in the Onsen too. The 8 different Onsen are all the same just different in color. Some are white, some are blue and clear. There was also a red Onsen, each coming with its own explanation. The most famous Onsen was the last one we went to which was the Umi Jigoku (海地獄) Which is famous because it is said to be the most beautiful Jigoku (hell), and the only Jigoku that the emperor visited in his stay here. Oniishibouzu Jigoku, Because of its mud pools. You can try their mud pools here for an amount. This place is where you can try drinking their water. Tatsumaki Jigoku, Which is the sprout of hell. Every 40 minutes the water from underground goes over 100 degrees celsius and spouts water for 6-10 minutes from underground. Chinoike jigoku, spout from hell. The color of the Onsen here is red. Hence the term “chinoike jigoku” Chi meaning blood. How to get around Oita: We opted to rent a car, so I got my international drivers license before coming to Japan. The rent a car people have a shuttle from the airport and they will teach you how to use the navigation machine to get around the 8 hells of Beppu. We recommend that you work from the nearest Onsen working your way to the top. Then you can choose to stay in the famous hotel chain the famous Suginoi hotel. Where there you can relax in their famous Onsen and enjoy their food. What is in Suginoi Hotel? Onsen onsen and more onsen. The food here is in buffet style with an option of Washoku and Yoshoku. (Traditional Japanese food and Western food) the place is famous for its Onsen on their 5th floor terrace which overlooks the city. People come here early in the morning to take a dip out in the terrace while watching the sunrise. Now thats one for your bucket list. Heres my first time driving on the left hand side of the car and side of the road. We’re off to our next destination from Beppu!